The Political Conventions Are Over… How did we get into this mess and what does it mean for income inequality? Was The Ugly Truth About Generational Income Inequality Revealed On Saturday Night Live? Could This Income Inequality Fix Just Be A Simple Guns Or Butter Decision? Can Life In The USA Really Be This Bad? I Was Surprised And You Might Be Too! Who will really win the midterm elections? Could it be the same winner as the last election? 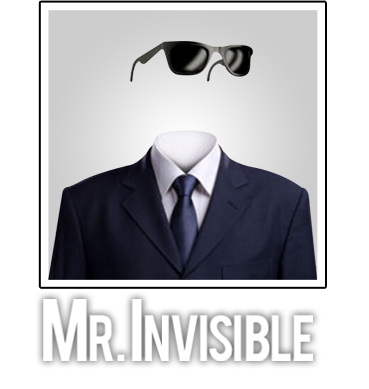 Mr. Invisible provides astute observations, political insights, investment ideas, health tips, and tasty recipes. All from a totally transparent guy. He tries to dig for the real truth behind the noise that crowds our busy days. And maybe even have a little fun in the process.